What is a Hem Tag? The newest trend that has gained in popularity for the labeling industry, is the Hem Tag. These tags are those little folded logo tags you see placed on the outside of a clothing item. Often on the bottom of the shirt, but not exclusively! They are starting to appear on the neckline and arm sleeve of the most popular brands of t-shirts and sportswear. Whether it’s on the rim of the neck, the bottom hem, on the side, or on the sleeve of the shirt, it’s impact is the same; it’s called successful product branding. Branding now visible to the onlooker without ever having to peer inside the clothing. Is there a difference from a Standard Woven Label? The only difference with a hem labels to your regular custom woven label is the fact they are all center-folded to be sewn on both sides of the hem. 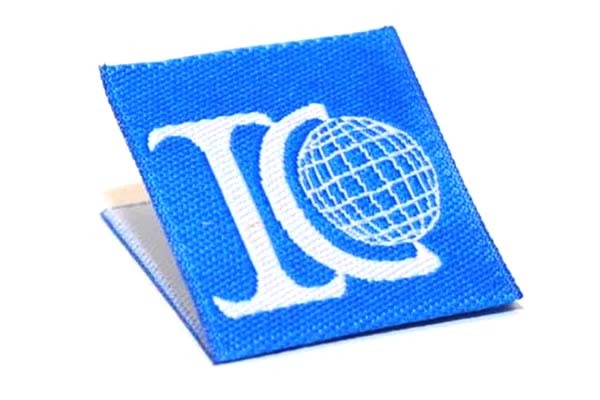 All of the same features of a woven or printed label are also offered to you with the hem tag. It is just important to minimize the design from your standard label and adjust it to a successful Custom Hem Tag. That’s what we are for; and will be happy to help you. What is the best size for my Hem Tag? The most common size of hem tags is about 1″ x 1″, which, when center-folded makes the total size of the label 1″ x 2”. Most that are pictured here are that basic size. You can certainly create any size you like to accommodate your logo, but typically they appear square in nature. What Should I Include in my tag? Be Creative! What you put on your hem tag is your choice! Keeping in mind these tags are typically very small; often a strong logo is all you need. The rest can be on your care labels or label you have affixed inside your garment. Usually a bold logo and in some instances you could include your website’s URL. Remember that these tags are usually very small (up to 1″ wide) and that leaves little room for too many details. You could have your logo on both sides, or your logo on one side and some text in the back, just let us know what you need and we will help you design it. Double siding your logo is also very popular. Where Should I place My Hem Tag? You can add your clothing tag to any item, in any place you choose. The great question is; where should I place my Hem Labels? We suggest the areas of the neck, the sleeve, the front pocket, or the bottom/side hem. However, don’t feel limited! Hem tags are common on beanies, scarves, gloves, etc., so you determine what works best for you and your product. For those who are not afraid of making an impact with their brand. 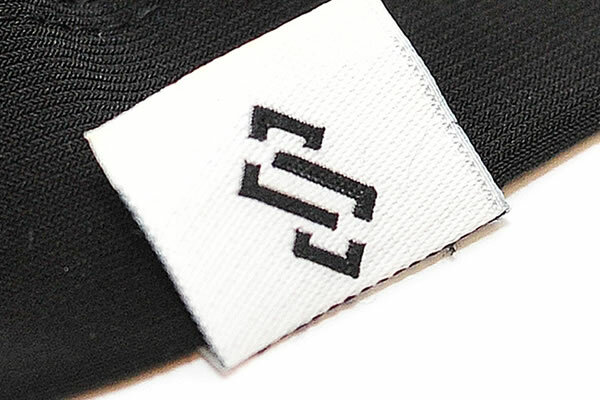 The woven tag is sewn upside down in to the collar, on the front of the shirt. There is something almost magical that makes such a tiny little tag bring the value of a shirt up. Only the front side of the label needs to have a design on it. The second most popular placement for this type of labels, commonly used on short sleeved shirts. One-sided labels work great here. Front and center placement is ideal for a small garment label such as this one. The damask label is sewn on upside down, one the outer hem of the pocket. The outer hem of is a very visible place for a double sided woven damask label. The inside hem of shirts is by far the most common placement of hem tags, specially satin printed care labels. They are usually printed on both sides. This is a great question because we do a lot of hem labels! What we recommend is that you make your custom hem tags with Woven Damask. These are the most cost effective and highest quality option available. We can work with you on design and location when you begin your project with us. From start to finish, one of our Sales Representatives will work with you. Our production time is about 10 working days, and you are kept informed every step of the way. The only time we cannot meet this timeline is if you have requested to see physical samples as this adds a few more days. Just recognize we partner with you and will need your input and approvals along the way, so this could add time as well depending upon your follow up. Looking For Content and Hem Tags? Make your t-shirts stand out! Add a hem tag. We'll guide you through!